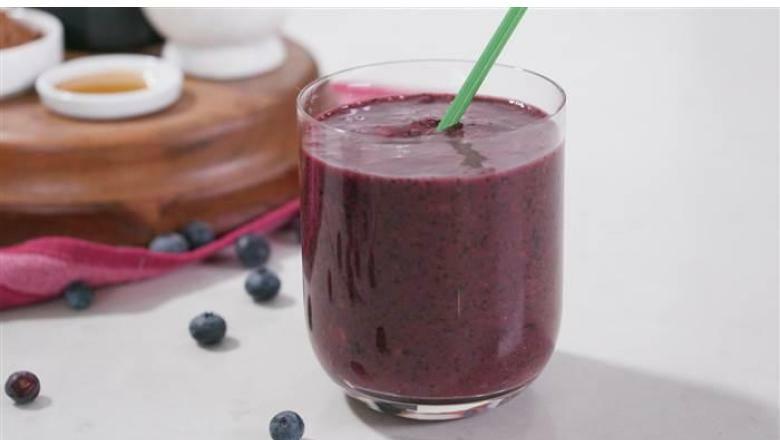 Wake up with this smoothie. The coffee adds a refreshing twist to the smoothie. Add all of the ingredients into a blender and puree until smooth. Serve right away. TIP: Want to make a thicker chia seed pudding? Place any leftover smoothie in the fridge in a covered container and let it set for a few hours, or even overnight. Chia seeds absorb up to 10 times their weight in water, so they will take in any liquid and form a gel-like, pudding consistency that you can serve like an acai bowl. Top with more berries, nonfat yogurt or unsweetened coconut and enjoy!